Imagine a world where one could have almost anything one wanted. A big country house for the weekends, clothes that actually fit, no lines at Starbucks, Ariana Grande’s phone number (okay that’s my wish, probably not yours). The truth is that we can only have those things that we can afford. Items within our budget, pinch them pennies, clip those coupons. You’d like to have the steak and lobster, but have to settle for the value meal, happy when you can super size it. Sometimes we have to compromise, end up with something that is just as satisfying, meets our expectations, fills our need. Who wouldn’t want to own a Lexus? Raise your hand. 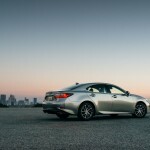 Most of us would like to enjoy the luxury that Lexus is known for on a regular basis. 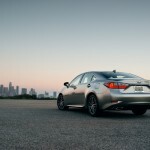 After all the top of the line Lexus is all about luxury, and if you’ve ever had the opportunity to drive or ride in an Lexus LS model, like we’ve done, you leave wishing you could own such a thing. 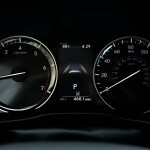 Lexus does offer something though that can give us a bit of what it is Lexus is famous for. A taste of the luxury that only Lexus can provide. 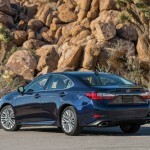 Sure the IS model we drove a few weeks ago is a Lexus, and it can be considered an affordable Lexus, and it is very good, but it lacks much of the luxury the brand is known for. Sandwiched between the IS and LS lines is the ES. 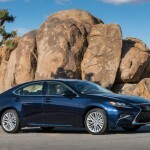 As we learned after a recent week with the 2016 ES350, there can be an entry-level midsize luxury sedan that offers Lexus luxury in a price range that isn’t too far out of many people’s reach. The differences between the IS and ES models are many. The IS is more sport oriented, a bit plainer, while the ES is more luxurious and less performance-oriented. Both the IS and ES models can be had for under 50 grand, but if it’s luxury you are looking for the ES is the ticket. 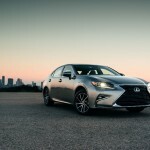 Lexus refreshed the ES in 2015 and for 2016, the ES 350 gets with a makeover for the front, rear and wheels; and new safety, connectivity and multimedia technology. Unlike the IS and other sport variants, the ES is all about space and comfort. Being a Lexus there is a novel filled with standard equipment. Cruise, full power accessories, dual-zone automatic climate control, eight-way power front seats with two-way adjustable lumbar, keyless entry and ignition, a rearview camera, LED headlights, sunroof and on and on. 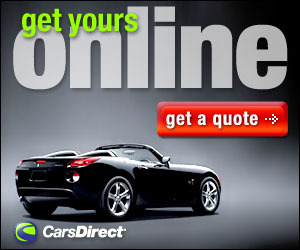 There are a great many options and packages to choose from, such as the Navigation package that upgrades the center screen from 7 to 8-inches, and add the computer mouse-like interface, a navigation system, and all sorts of connected apps. You can also add a 15-speaker Mark Levinson surround-sound audio system. The Safety System package gives you adaptive cruise control, a frontal collision warning system, a lane departure warning system with steering assist and automatic high-beam headlight control. The Premium package will get you driver memory settings, and wood trim, while Luxury and Ultra Luxury packages add such amenities as parking sensors, heated and ventilated front seats, leather upholstery and a power rear window sunshade, automatic wipers, a power-operated trunk lid, a panoramic sunroof, manual rear door sunshades, ambient interior lighting, a heated steering wheel, a power driver seat cushion extender and passenger seat memory functions. Under the hood the ES350 gets a 3.5-liter V6 engine that generates 268 horsepower and 248 pound-feet of torque. Front-wheel drive and a six-speed automatic transmission are standard. 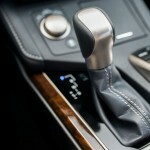 Inside the cabin is spacious and open, being a Lexus, the appointments are perfectly suited, and the gauges and controls well thought out and well placed. 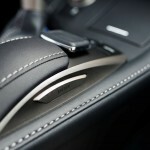 The center mouse control, which isn’t loved by all, has always been easy to use for us and for 2016, Lexus has added separate “Enter” buttons on each side of the mouse, perhaps to help silence the critics. Sure, a touchscreen would be nicer, but the mouse control has never been trough for us to use and this time was no different. One of the best things about the ES350 is the drive. This is certainly no high performance model despite the three drive modes that include a sport selection, but that isn’t a bad thing. What the ES350 is, is a spacious quality built four door sedan with a comfortable feel on the road, surprisingly little interior noise from the outside, and enough power to handle everyday driving. 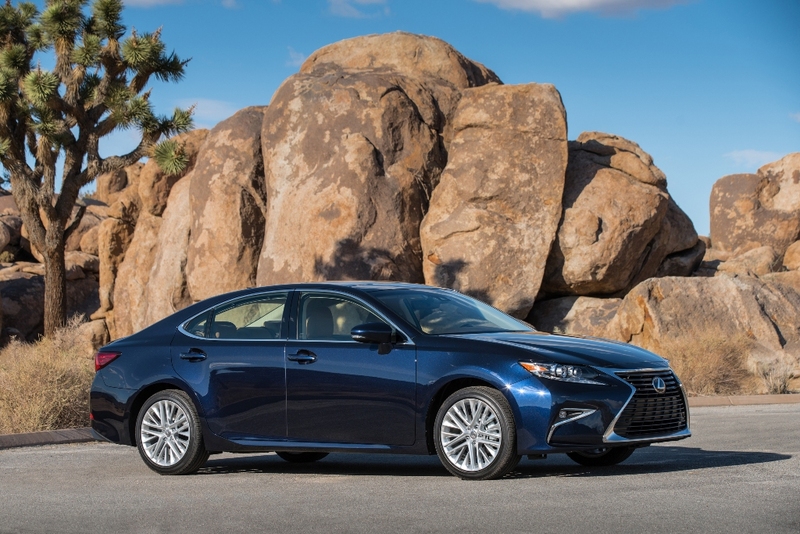 The story of the 2016 Lexus ES350 is luxury, comfort, and a very pleasant driving experience. Our tester for the week had the Luxury and Navigation package and came in with an MSRP of $46,679. This is far below the $70,000 of an LS, and the ES is truthfully below the LS. 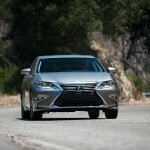 However, a smart negotiator could enjoy the ES350 below $45,000 and enjoy the luxury that Lexus is famous for. It’s for those with a champagne taste but a beer budget; okay maybe an imported beer budget. You may still be stuck with a value meal, compromise on other things, but the 2016 ES350 proves that you can indeed enjoy the finer things in life without going broke.